What Is The Cost of Sod? How Much Does A Pallet Of Sod Cost in Winterpark - Orlando, Eatonville, Maitland, and Goldenrod? What is the cost of sod? Cost of a Pallet Of Sod. You can expect to pay anywhere between $170 and $380 for every pallet of sod you purchase. On average though sod prices are $210. Generally, though the price of sod is based on the type of sod grass you’re looking for as well as the measurements. Turfgrass sod is either sold in rolls or pallets. If you’re in the market for sod you should ensure that your provider is located in your locality. This is because sod doesn’t ship well over long distances and may get damaged in transit. There are many sod farms across the United States that sell sod. When sod is getting sold, it’s measured by the pallet or using a linear foot. A single roll of sod will cover an area that’s about 10 square feet. If you purchase sod by the pallet, you should expect it to cover around 450 square feet as that’s the standard. You need to be extra vigilant when going through websites that sell sod. As the details are in fine print. For instance, the amount indicated on the website might be $800/pallet. However, as you dig deeper you would find out that that price only applies when you purchase 2 pallets in Orlando. We recommend taking a look at the price of sod for total square footage as that will give you a better idea of how much money you’ll spend. If you’re using the sod on a large square footage we recommend that you buy your turfgrass from a supplier as you’re likely to receive wholesale prices. However, if you only plan to work on a small yardage you will most likely buy under retail terms. Something else you’ll need to be aware of before you purchase your roll of sod is the dimensions the sod is sold in. Generally, sod is sold in dimensions of 2’ x 5’. Sometimes though, suppliers sell different dimensions e.g 15’ x 30’ or 15’ x 40’. To summarize all the information above, you can expect to pay an average of $0.50 for sod that’s decent quality. Click here to learn more about the benefits of utilizing sod. Here’s a price breakdown of sod types usually used in residential areas based on their grade and a square footage of 450. You can expect this season’s warm grass to go for anywhere between $169 for the economy grade sod and $370 for the high grade. The midgrade sod goes for about $270. Another warm season grass, prices start at $146 for the economy grade with the premium grade sod going for $320. Midgrade St. Augustine sod goes for $234. Economy grade Bermuda grass sod goes for $170 while you can expect the midgrade sod to average at $270 while the high grade goes for $375. On average premium grade, fescue grass sod goes for a high of $300 while the economy grade generally starts at $132. You can get the midgrade fescue sod at about $210. There are various places from which sod can be purchased. Three to be particular. You can easily order sod from local online shops near you. This might include a local brand or a national brand with local outlets. When purchasing sod you need to remember that it isn’t ideal to have it delivered over long distances as it can’t take the strain. So always order from locally based websites. If you prefer sampling the sod before making a purchase, then you should probably visit a local supplier. This can either be a hardware store or a supplier that specializes in selling sod. An added advantage of visiting a mortar and brick supplier is that you’ll probably get a better deal. If you need sod for a big project they’ll probably sell it to you at wholesale prices. This is especially a great option if you’re particular about the freshness of the sod. When you buy sod directly from the farm you get the freshest batch. Please note that having someone install the sod for you might invalidate the warranty. On average you can expect to pay $1,805 including labor and materials when installing sod. Below is a breakdown of what the process involves. When the installation professionals come to your place to install the sod, they will have with them the necessary equipment required. If you choose to install the sod yourself you will either need to buy or rent the equipment. Once that’s done rolls of sod need to be lugged to where they’re supposed to be. In addition, you’ll need to water, cut, fill in the imperfections and correct. If you choose to do this yourself be prepared to dedicate an entire weekend. You will also need to understand how to care for your sod. When you have a professional install sod on your behalf they know what sod does well in which climate plus which grass will do well under shade and which one needs direct sunlight to thrive. 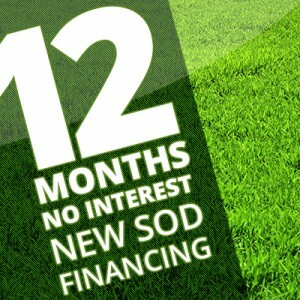 Get in touch to find out the cost of sod.